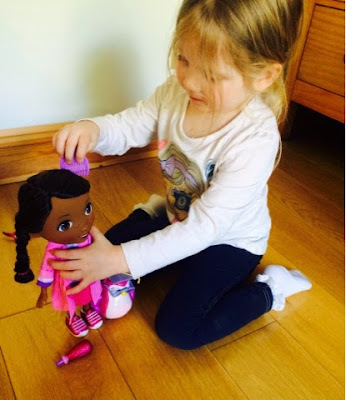 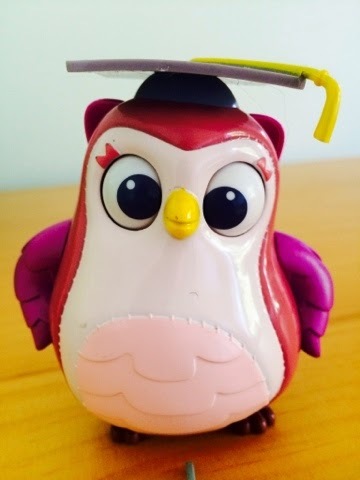 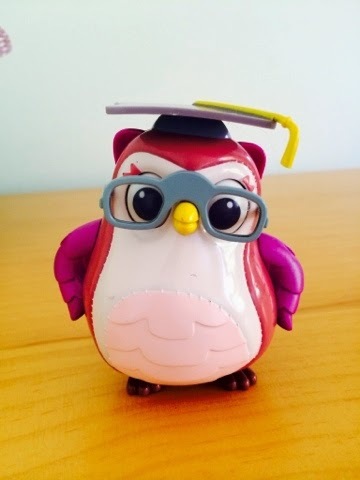 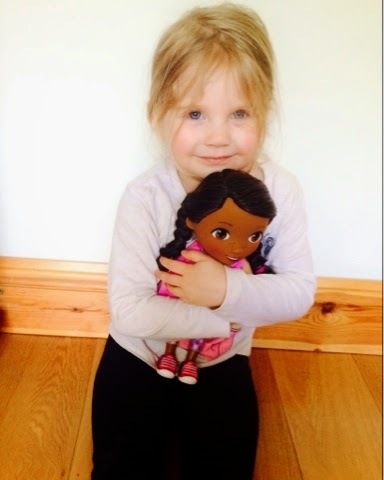 We were recently very lucky to review one of the new Doc Mcstuffins specialist dolls - the timing couldn't have been better for 3 year old Maegan as she was very, very poorly with Lymphadenitis which was awful! 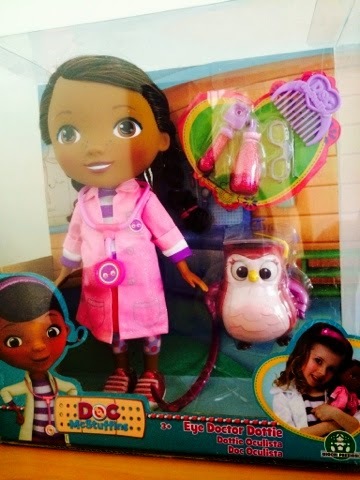 This set is so sweet and we had seen the episode that the playset is based on - actually I think we may have seen every episode! 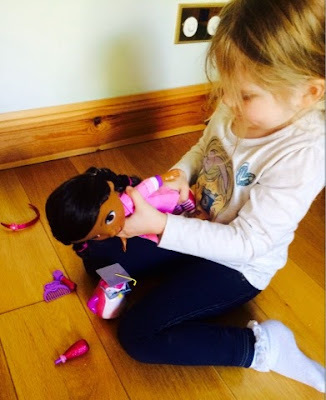 We're in the middle of creating our play room at the moment and we will be having a Doc Mcstuffins corner! 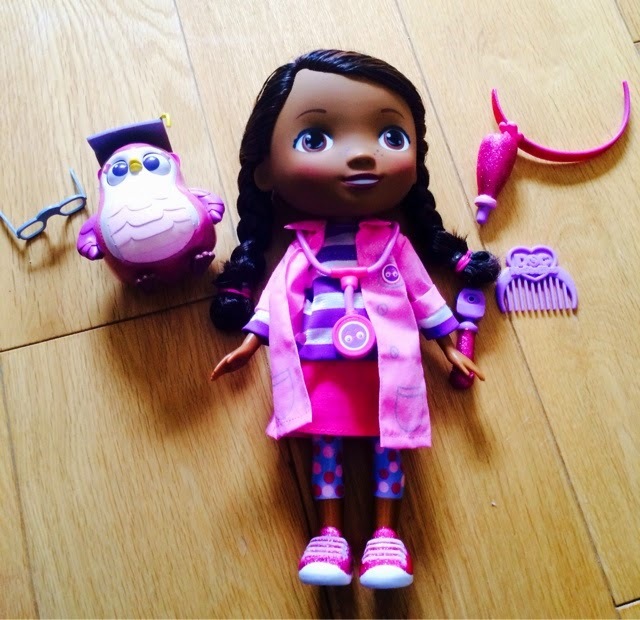 Eye Doctor Dottie comes in simple packaging - I managed to get her out without needing a screwdriver which is always a bonus! Doc Mcstuffins can also stand up unsupported. 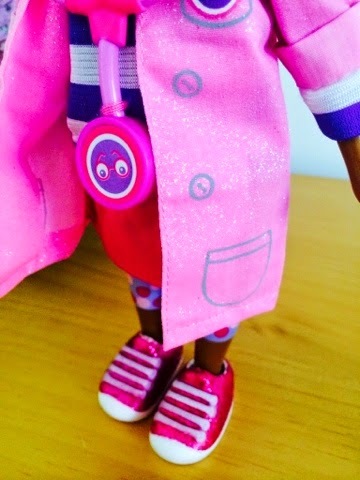 Her doctors coat is pink and glittery! 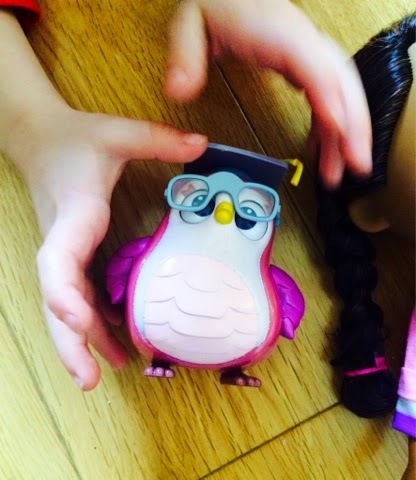 Sliding the glasses on hootise is lots of fun. 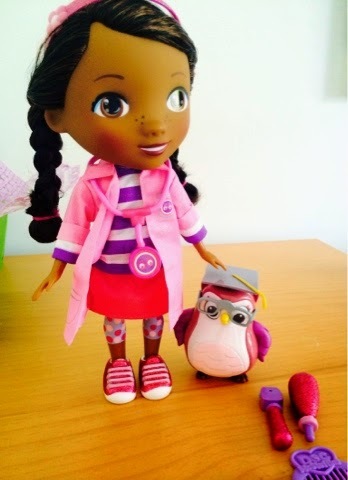 Straightening up Doc's lab coat. 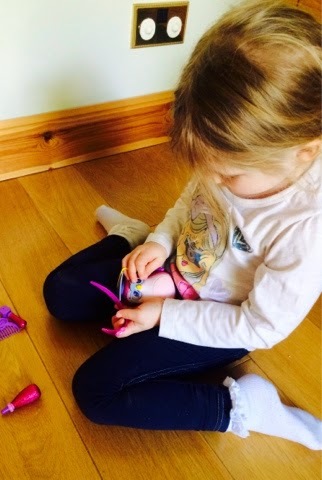 The comb is being well used - I'm pleased to say that the plaits are still in place too! 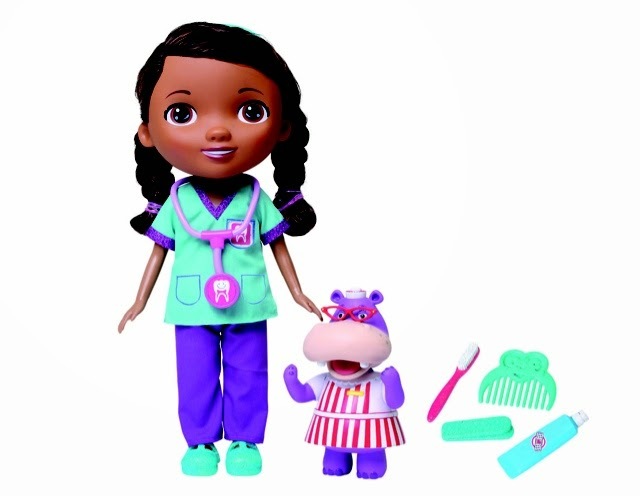 You can also get a Dentist Doc Mcstuffins too! 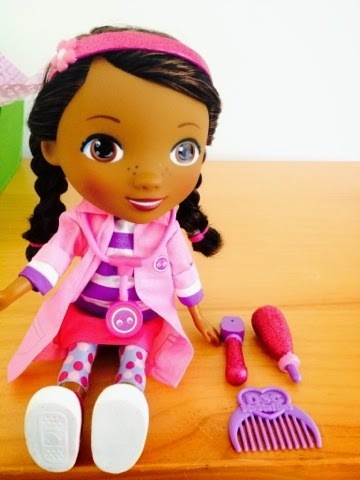 disclaimer - I was sent Eye Doctor Dottie for the purpose of reviewing her.